Ph.D., in Madras Veterinary College, Tamil Nadu Veterinary and Animal Sciences University, Chennai – 600007, India;M.V.Sc. from Veterinary College, University of Agricultural Sciences, Bangalore – 560024, India;	B.V.Sc. 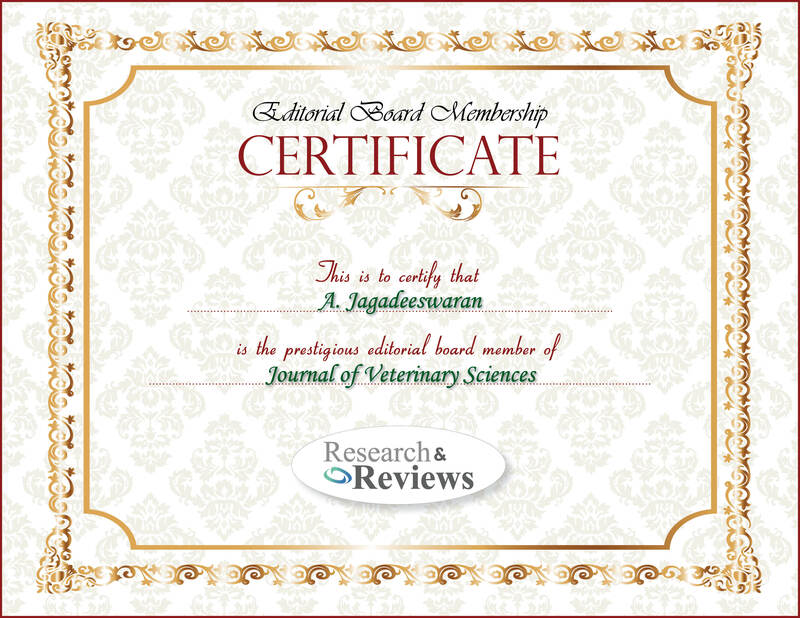 from Veterinary College and Research Institute, Tamil Nadu Veterinary and Animal Sciences University, Namakkal – 637002, India. In Veterinary Pharmacology and Toxicology: Pharmacokinetics, Ethnoveterinary drugs, Pharmacological evaluation of drugs – Pharmacometrics.